Art in the Park 2018 will be held on Saturday, April 14, 2018. 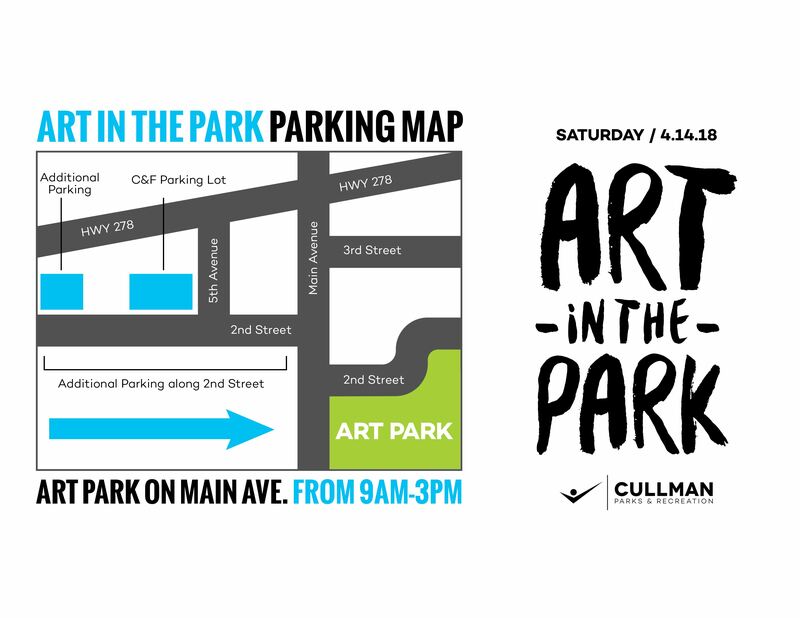 This year, Art in the Park will take place at City Park and at the Art Guild building. The event will run from 9am – 3pm. Join us for a day of art in the park, including dozens of arts and crafts vendors, free crafts for kids, an art show, and demonstrations from local artists. Live music will also be performed in the park during the event, and the event will also feature a sidewalk chalk art contest for kids! Application and booth fees are non refundable. All sales are handled by the exhibitor. Cullman Parks and Recreation collects no commission on sales. Sales tax must be collected by the exhibitor. Instructions will be given at check-in or acceptance into show reguarding how the sales tax should be deposited with the Cullman County Department of Revenue. Application, booth, and other fees may be sent via check or money order to the Cullman Parks and Recreation office if you do not wish to pay through Zapplication. make payable to Cullman Parks and Recreation and mail to: PO Box 788 Cullman, AL 35056. A $35 fee is charged for EACH returned check. Booth selection and placement is final and at the discretion of the committee. Vendors must provide their own clean, white tent, equipment and booth display. One table will be provided for each vendor. The festival is held outside so exhibitors must be prepared for inclement weather. There is no rain date and no refunds given in the event of inclement weather. Vendors must park in the designated vendor parking area. All work is displayed at the risk of the vendors. The organizers of the festival are not responsible for loss, theft, or damages to your rented booth area, boot, and product. Vendors must cary their own liability inurance policy to cover their booth, product, rented space, and staff. Sales tax information will be sent upon acceptance or given at the show. It is the desire of the festival organizers to present a unified, eclectic mix of interesting exhibitors and for exhibitors and spectators alike to have a positive experience at Art in the Park. Therefore, festival organizers reserve the right to relocate a vendor who arrives at the festival site with an unattractive or oversize display not meeting the requirements set forth in the application. You may only sell craft items. No exceptions. Subleasing of booths is not permitted. Your booth must be setup prior to your start time. Booths not setup prior will forfeit their spot. No late setups or arrivals and no early breakdowns. Specific details will be provided upon acceptance and booth payment. I hereby release the Cullman Parks and Recreation, the City of Cullman, all companies'/organazations' officers, staff, subcontractors and board of directors from any claim or right for damages, which may occur to me, my children or our hired help and our product. I also assume and accept full responsibility for any damages done by us or our workers at Art in the Park held April 14th, 2018 at City Park and at the Art Guild building , Cullman AL. I fully understand the above Hold Harmless Agreement. I also carry my own liability insurance for my rented booth space and product. I understand and agree to all the terms, including Festival Policies and Requirements, in this contract, and have read and understand all the terms.